OPAL shown on this site was hand mined at Yowah about 1050 kilometres inland from Brisbane which is the capital of Queensland Australia. Yowah is well known for its Yowah Nuts and is a popular destination for opal fossickers. On this site you will see some of our opals, opal mining and Australian Outback photos, also Outback Australia and Yowah Opal Mining videos. 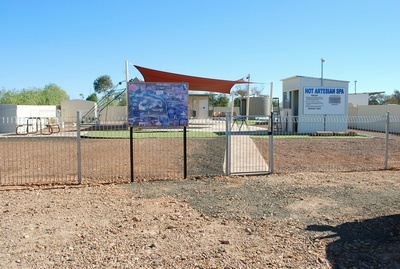 Yowah has a small , caravan park with powered and unpowered sites and 6 cabins, phone Artesian Waters Caravan Park (07) 4655 4953 . Fuel available at caravan park. There is no hotel, so you will need to bring your own beer. There is also a small cafe and mini mart in town. A public camping area is also available. Sunday opal markets are held each week from around 1pm (usually April till the end of September). There are also plenty of opal miners in town selling opal, just look for the Opal for Sale signs. Please be sure to have a look at the Bush Poetry by local award winning poet Janine Haig. If we don't have the information you need on the outback, or Australia in gereral, try clicking on the links below. Visit Charles Sturt University Web Site for a wealth of information on Australia. Want to find out the Australian State Emblems and Flags or how many olympic medals Australia has won, or maybe the Latitude and Longitude of a town? Then this is the site to visit. A great site for school projects. for Australian Weather and Warnings (flooding, river and crossing levels, cyclone etc). If you would like to know more about Australia, here is a link to the Australian Bureau of Statistics .